COMPETITION: WIN A TICKET TO OUR VIP LAUNCH EVENT! 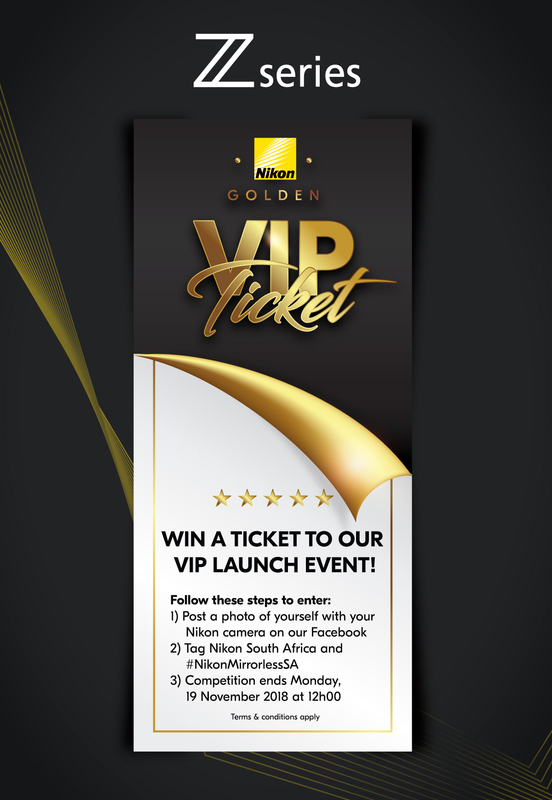 1 of 20 VIP tickets to the Nikon Mirrorless Launch Gauteng and Cape Town VIP events. The competition will commence on Friday, 16 November 2018 and will close on Monday, 19 November 2018 at 12h00 midday (“the competition period”). The winners will be announced on 19 November 2018 on the Nikon South Africa Facebook page. POST a photo of themselves with their Nikon cameras on the Nikon South Africa FAcebook page. TAG Nikon South Africa & #NikonMirrorlessSA. By entering the competition, entrants give Nikon in South Africa the right to use their photo on any of the Nikon South Africa social media platforms. Please note: No explicit images, images portraying racism or any offensive images will be tolerated. Any photo entry not complying with these terms will be reported on Facebook, deleted and automatically be disqualified.